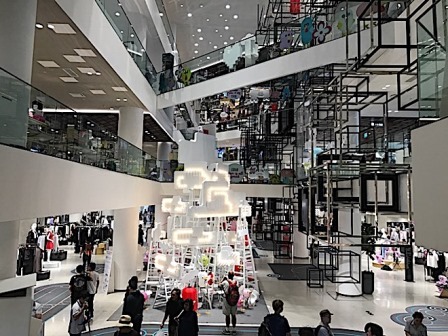 While Bangkok has tons of options for shopping, the Siam Paragon Bangkok may just be the crown jewel. With over 250 shops, the sprawling mall hits all the right notes — amazing food, cool gadgets and the latest haute couture from around the world. The first-floor Fashion Venue carries all the latest premium shops from around the globe. Make a note on new product launch days as long lines to get into stores are fairly common as Thai’s do love their shopping. 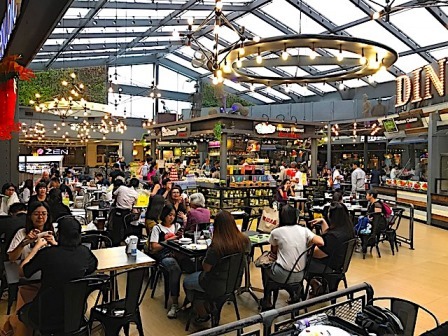 In the basement, check out the massive food court, with everything from fast food, Thai, Korean, Japanese, Italian, Chinese and tons more to tempt your taste buds. Also be sure to check out the massive Luxury supermarket past the food court for hard to get items that you can’t find in Korea and you want to stuff in your suitcase. When you’re done with the food, the second and third floors feature the Lifestyle and Leisure stores. Make sure you prepare a few hours for Kinokunia, the largest foreign language bookstore in the city. Moving up to the IT World-themed fourth floor, stock up on the coolest gadgets and be prepared to be tempted by even more food. Once you manage to get to the fifth floor, the IMAX experience has 15 screens with the latest films from around the globe in English and with subtitles. Whatever you do, plan a few hours for this mammoth mall, which is great to beat the outdoor Bangkok heat during the day. It’s open daily from 10 am to 10 pm. and you can get there on the BTS Siam exit.